Green Land Estate is an award-winning coffee farm located in the Pyin Oo Lwin district of the Mandalay region in Myanmar. This is the second year of Little City’s partnership with Sai Wan Maing, the owner of Green Land and former winner of Myanmar’s best coffee competition. This fully washed coffee is one of the best available from Green Land Estate, offering a clean, balanced cup with flavors of cherry, lime, honey and milk chocolate. 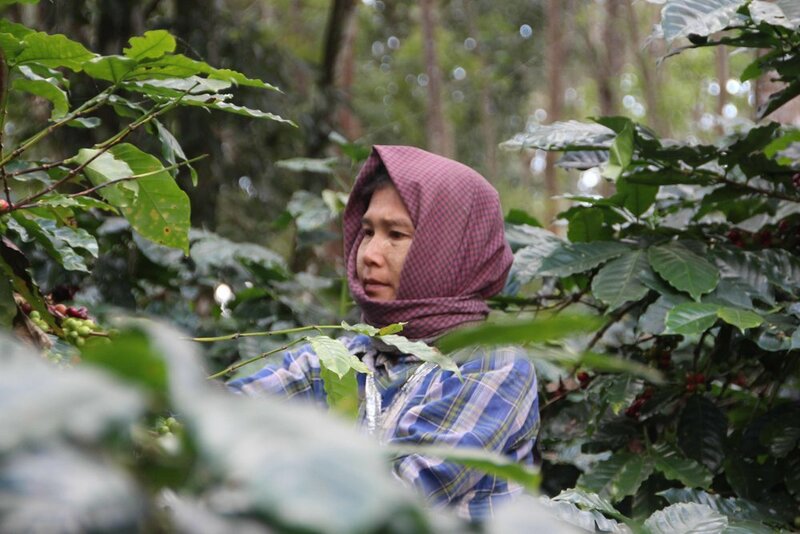 Even before the re-emergence of Myanmar onto the international scene, Green Land had established itself as one of Myanmar’s preeminent coffee farms, known for its consistent offering of bright, sweet, and clean coffees. Sai Wan’s dedication to quality and innovation was on display last year as he not only won Myanmar’s Coffee of the Year competition, but was one of the first Q Arabica Graders in Myanmar, a prestigious professional certification for coffee-quality tasters. Earlier this year, Sai Wan was a participant in Little City’s Port to Cup Tour, an opportunity for coffee growers from Myanmar and the Philippines to visit roasters and supply chain partners in the U.S. to learn more about the path of their coffee after it hits US shores. Among the first to bring Myanmar coffee to the world, Sai Wan’s work was featured in an article Little City’s Joel Shuler co-authored for Fresh Cup Magazine. Green Land Estate also worked with Joel to arrange a unique exchange of cultivars, or coffee plant varieties, with Brazilian growers. In exchange for Catuai, Catucai, and many other Brazilian cultivars, Green Land Estate provided SL-34, grown on the estate, to Brazilian growers.